‘Arrow’ Spoilers: Has Oliver Queen’s Big Bad Been Revealed? Along with introducing The CW superhero series incarnation of The Huntress (Jessica De Gouw), last night's all-new 'Arrow' episode "Muse of Fire" finally answered the season-long mystery of 'Torchwood' star John Barrowman's mysterious character, the previously described "well-dressed man. Or did it? 'Arrow's' first season still carries plenty of lingering mysteries in episodes to come, so is there more to Barrowman's character than we can imagine? 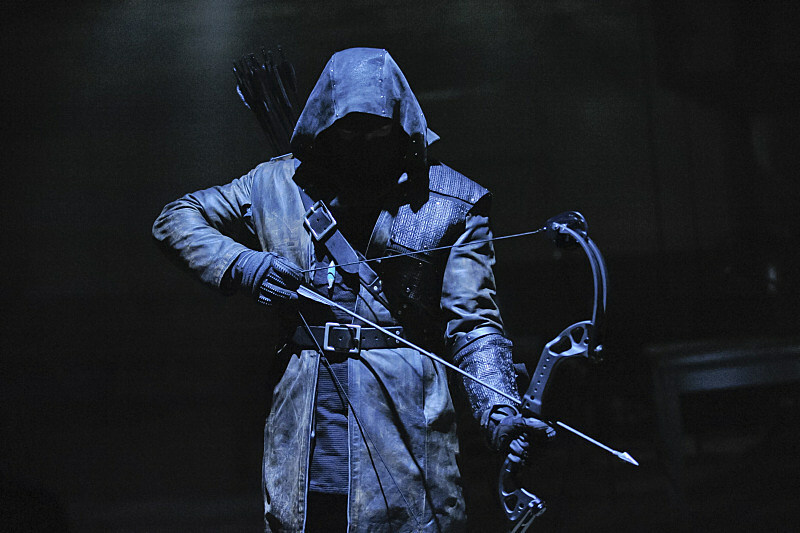 Might he be the greatest threat yet to Oliver Queen (Stephen Amell) yet? New spoilers await inside! After seven episodes and a whole lot of hype, last night's 'Arrow' episode "Muse of Fire" finally revealed John Barrowman's imposing mystery character to be...none other than Merlyn Sr., Tommy Merlyn (Colin Donnell)'s father! While no first name was given (and despite an only 15-year age gap between John Barrowman and Colin Donnell), 'Arrow' fans now have a much clearer view of Moira Queen's mysterious superior. Still, even with the character's identity revealed, plenty of mysteries are still in place for the future! For one, we've been curious to learn the identity of a mysterious "Dark Archer" that plagues Oliver Queen in upcoming December 12 episode "Year's End," one who fans of the DC comics know to traditionally be named "Merlyn"! It didn't seem likely that Donnell's Tommy Merlyn would take up arms against 'Arrow,' with or without knowing him to be Oliver Queen, so could Barrowman's senior Merlyn be the one underneath the mask? Or could Tommy be the dark archer after all, driven to violence by his father's derision and separation from the family money? Keep watching 'Arrow' for the answers to these mysteries and more, and give us your theories in the comments!